KUALA LUMPUR (Nov 23): The Association of Valuers, Property Managers, Estate Agents and Property Consultants in the Private Sector Malaysia (PEPS) supports the government in imposing a freeze on the development of buildings, but it is of the view that it should not be a country-wide blanket freeze. “The freeze should take into consideration the sector, location and effective demand and supply. PEPS recommends that there should be a moratorium of one year for those developers who have submitted their planning applications to get the approval within one year. During the moratorium, an in-depth market and feasibility study should be conducted for all projects submitted for approval,” PEPS said in a statement today. The association noted that there were RM35 billion worth of unsold and unutilised buildings, which are a “waste of financial resources”. “Every effort must be made to absorb this incoming supply before the freeze is to be lifted,” it said. The association said in its view, the property market overhang is caused by developers indiscriminately building properties, a lack of market studies and financial feasibility studies being carried out prior to building, no coordination of planning among local authorities and indiscriminate approvals. “Other causes include the delay in gazetting of local plans that leads to uncontrolled development and higher cost as well as artificial demand created by members of the public for fear of losing out on choice properties,” it added. PEPS also concurred with Bank Negara Malaysia’s statement that “severe property market imbalances can pose risk to macroeconomics and financial stability”. “The property industry has linkages to more than 120 industries and collectively accounts for 10% of GDP. Therefore, any severe property market imbalances and overbuilding will affect the stability of the financial system. The freeze is a wake-up call for the developers not to overbuild and the buyers to be more discerning and selective in their choice of purchase,” it noted. The association also said besides creating a single entity to take charge of affordable housing, the authorities should also carry out market and feasibility studies to ensure effective demand and supply, and most crucially the right location with proper supporting infrastructure. “Currently, affordable housing is carried out by too many government agencies. The best model to adopt is the Housing Development Board (HDB) Singapore, whereby HDB as a single authority acts as the contractor, developer, marketing agency and also financier of all public housing in Singapore. HDB is responsible for housing 80% of Singaporeans. 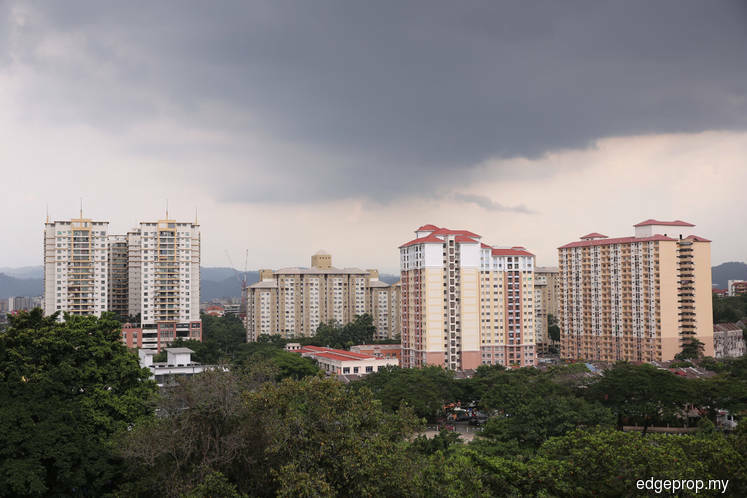 “Hence, PEPS supports the idea of the government setting up a National Housing Authority to plan, implement and coordinate all affordable housing projects in Malaysia. This entity can be entrusted to PR1MA and all other government agencies involved in affordable housing to be merged with PR1MA,” it said. PEPS also recommended that the government take the onus of developing affordable housing off of residential developers from developing affordable housing. “As the key component of affordable housing is the high land-cost and with the high land-cost, residential developers are unable to fulfill their obligations to build affordable housing. So it is best to get the government to set up a single authority to concentrate on affordable housing and to work with the state governments to fulfil the target of 500,000 units of affordable housing,” it said. Likewise, the building of low-cost housing should also be undertaken by the government, it added.